When it comes to Android issue tracking, Google has always used Google Code. However, Google started phasing out Code for most users in 2013, and Google's projects are the only active repositories left. Now the company has started to shift to a new issue tracker, hosted at issuetracker.google.com. Capturing and sending a bug report on Android used to be an inelegant process. Bugs are annoying and bug reports are one of the least exciting parts of a platform, but they are essential to help it and its apps move forward. So it's nice to see the Android team putting some thoughts behind improving the bug report interface and interaction, especially for those of us who tend to actually use the feature. Previously, on Android 6.0 and below, if you decided to save and send a bug report, the device would vibrate once and nothing happened for a minute or two. Then you get the notification for the captured bug report and the only thing you can do is share it along with the screenshot that was taken when you tapped the bug report icon. Update: A Google representative reached out to inform us that the bug report feature only appears if your phone is also in developer mode (tap repeatedly on the Build Number in the "About Phone/Tablet" menu). You may need to enable developer mode on Android Wear as well, as one commenter points out. If you've found a problem with your Android Wear watch, you can now submit a bug to wearable app developers. That's definitely a good thing, since certain parts of the platform could use a little spit and polish. But hold your horses: the process for recording and submitting the bug is on the far side of confusing. 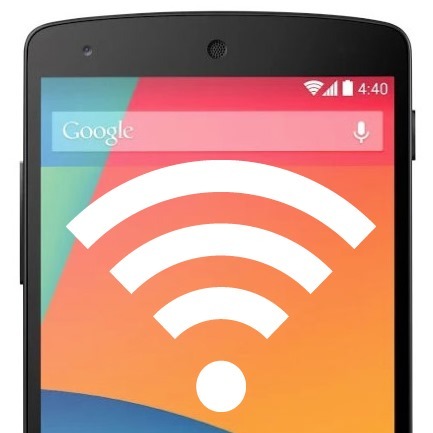 Wi-Fi is a staple among most smartphone users. While we tend to talk more about cellular data, it's really just there to sustain us as we travel from one access point to another. We aren't just demanding more data at higher speeds, we're connecting more devices than ever before. The inevitable overcrowding of the 2.4 GHz brought about the expansion into the 5 GHz range. Unfortunately, many Nexus devices (and at least a few others) are having trouble making and maintaining connections to this higher frequency band. This problem has been reported at least as far back as Android 4.0.1 on the Galaxy Nexus, and it continues to reappear on every Nexus device up to, and including the Nexus 5. Man, Google. You just can't stop screwing with Christmas, can you? First you cancel December, and now this? 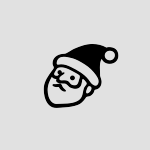 In a very real and totally serious bug report over on Google Code, one user is reporting a serious flaw in Android: If you use the Emoji keyboard to enter a Santa face, he looks decidedly unhappy. Emotionless at best. But, as everyone knows, "Santa should be jolly." Okay, yes, so Google did fix that Calendar problem, and even went out of its way to build a special Santa Tracker, after Norad hired that other search engine.